After 2 editions focusing on the ZOHO neighbourhood we extended our scope and looked into three different areas in Rotterdam, where we worked with students from the Urban Strategies and Planning specialization on local place-making strategies. 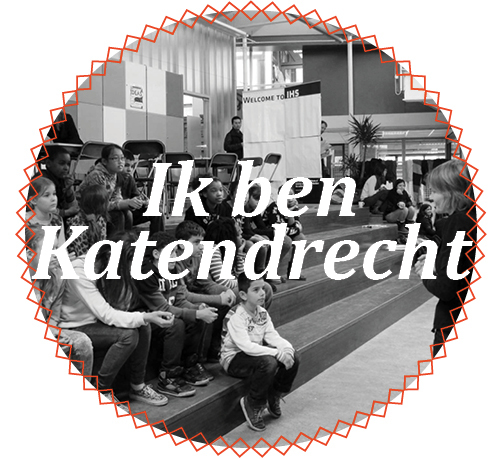 “Ik Ben Mijn Buurt” (I am my neighbourhood) collects the stories of the process of defining strategies focused at improving the public spaces with effects on the surrounding areas of: Noordplein in Oude Noorden, Buizenpark in Katendrecht and Afrikaanderplein in Afrikaanderwijk. The issue was designed by Alexandra Tsatsou. Here are the stories of the three areas as the teams experienced them. 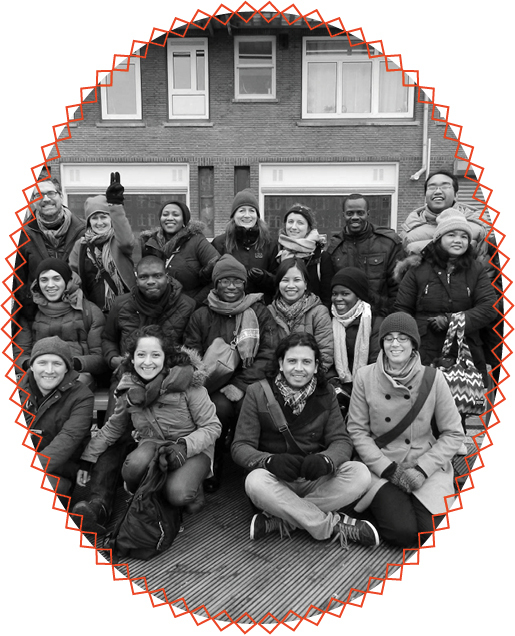 In the last two months we have been around and about in the vibrant and diverse neighbourhood of Afrikaanderwijk in Rotterdam South and we had the chance to get in contact with people living and working in this area. We were inspired and influenced by on going activities initiated by residents, area based entrepreneurs and municipality representatives. Our first activity in the area took place on a stormy Saturday in February. Next to the monument for the Gastarbeider on Afrikaanderplein, we set up a Turkish tea circle, a wheel of season and storymapping activities. 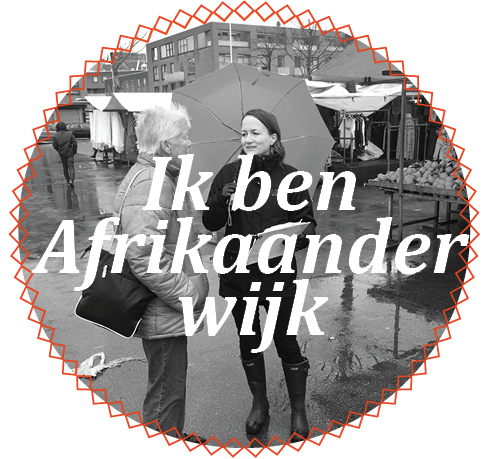 Despite the windy and rainy weather conditions, we got in touch with residents and Afrikaanderplein market visitors and we were able to collect various ideas, impressions and perceptions of the plein. After the experience of the consultation day we identified several opportunities for the interface area, between the park and the market and spotted potential place-makers among the local people. After assessing different possibilities, our team started developing an integrated strategy for the area including three place-making ideas combining social, cultural and physical aspects of the neighbourhood. Now, we want to discuss our ideas and strategies together with invited stakeholders in Afrikaanderwijk. We are presenting three place-making projects including a fence photo gallery displaying local art, a pavilion for self-organized activities and a market concept with local character. In cooperation with the neighbourhood we want to develop the ideas further and make Afrikaanderplein a more attractive, used place and focal meeting point of the buurt of Afrikaanderwijk. Coming to Katendrecht from the Wilhelminapier, you immediately experience its unique character, industrial heritage and the transformations that are happening. That is why we selected this as the area we wanted to work on. Over the last months, we have been investigating the neighbourhood, identifying strengths, challenges and interesting spots to work on. We have decided to work on Buizenpark as for us, it has the potential to be one of the most attractive areas of the neighbourhood and potentially of the whole city. The park is a quiet spot with a great view on the Maas, but it has the potential to be used more by both local residents and people coming from other parts of the city. We designed a consultation program for collecting ideas and desires about the future of the park from residents and users. We faced climate challenges that made it impossible to hold the consultation in the park. Nevertheless, we received a great support from de Schalm School that kindly hosted on a very rainy Friday afternoon. School children were a great source of ideas and energy, as they pointed out their dreams for the park. We received ideas from parents, park users and local stakeholders and used them as input for our integrated strategy for the park. Based on the consultation we developed a vision for Buizenpark: an enjoyable place which will enhance interaction between people of diverse socio-economic background. We foresee that this vision can be achieved through some specific actions, like a community garden, a food kiosk, sheltered benches, a pet service point, a movable stage for performances and a multipurpose playground. We want to share our ideas with residents and local stakeholders, in order to receive feedback and discuss the feasibility of future plans. Since January 2015 our “Oude Noord” team has been working on the Noordplein development to make it a more attractive and better-utilized public space. Despite its location, less than 10 minutes walking from Rotterdam Centraal, next to the Rotte river and its large area, the Noordplein is usually empty and used just as a crossing route between the shopping streets Noordmolenstraat and Zwaanshals and the river side. 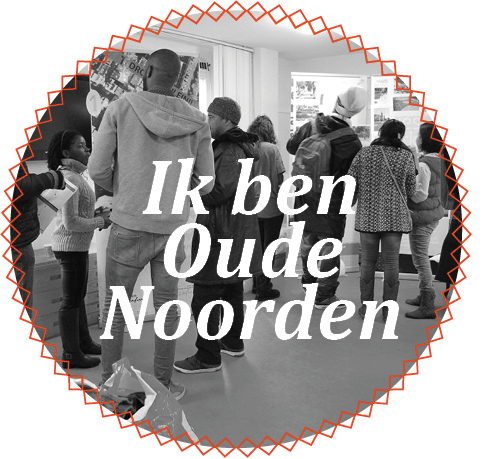 Besides its physical characteristics, the stimulating multicultural environment of the neighborhood and the enthusiastic spirit of the people indicated for our team the high potential of the plein to become a pleasant public place for Oude Noord or even whole Rotterdam. On the 21st of February we conducted the first consultation event of our place-making activity. We had prepared for all event details, including advertising in advance, inviting residents and identified key stakeholders, preparing the venue in Noordplein itself and the two-hour program, in which we discussed with the participants problems they find in the plein and how they would envision the plein in the future. On the consultation day itself we had to deviate from our original plan and implement our plan B due to bad weather conditions. We needed to move to an in-doors location, the community center next to the plein and conduct our consultation there. This meant unfortunately less participants because we are not as visible or accessible as we would have been in the open-space of Noordplein. But we somehow managed to mitigate this, by dividing our group into two: one group waiting for visitors in-doors and the other walking in the plein and gathering interested pedestrians ideas. Moreover, we placed a banner with a big sign and decorations on the façade of the community center to attract pedestrians. In the end, the event was a great experience for us; we learned a lot from it and most importantly we were able to gather many ideas and visions of participants from different age groups and income levels. And based on the request of some participants, a second event was planned two days later as a continuation of the consultation, in which more ideas were generated. And six projects: “Noordplein Themamarkt, Temporary kiosks, Water recreational activities on the Rotte river, Landscaping of the plein, Weekend shows and Sports tables”. After prioritizing the projects based on feasibility criteria and stakeholder commitment, we are presenting to the public. Finally, revising the proposed projects according to the people’s feedback, we hope to have helped the enthusiastic community of Noordplein take the first steps towards realizing their “Dream Noordplein”.